Home decor fanatics can get lost in IKEA. The furniture superstore offers just about everything you could think of for your home. Their DIY packs inspire many people to get creative with their furniture! 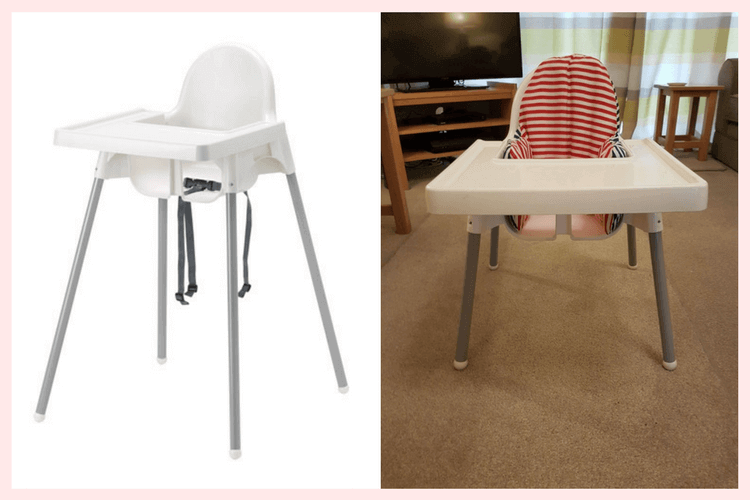 A fun project entails turning this high chair into a low chair. 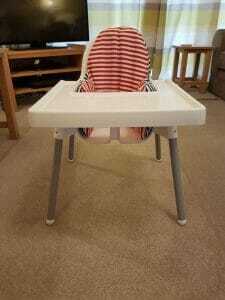 A high chair is a popular option for parents, and many households have them stationed in their kitchens. As this project shows, it’s easier than you imagined to turn one chair into two. Visit your nearest IKEA store or order online. This is a super straightforward process and you’ll be surprised at how easy it is to complete this project. First, remove the feet from the high chair legs. Next, cut the bottom of the legs at the desired height. You can use a newspaper for reference, as seen in the photo. The final step is to refit the feet. You should notice how stability seems unaffected. Allan Ford, the author of this IKEAhackers post, recommends purchasing a second set of legs. That way, you can leave one set for the kitchen and another for the lounge or family room. 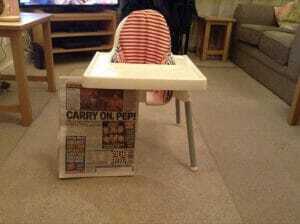 In three easy steps, you can have a low chair for your little one. This is a much easier solution than purchasing two separate expensive chairs.